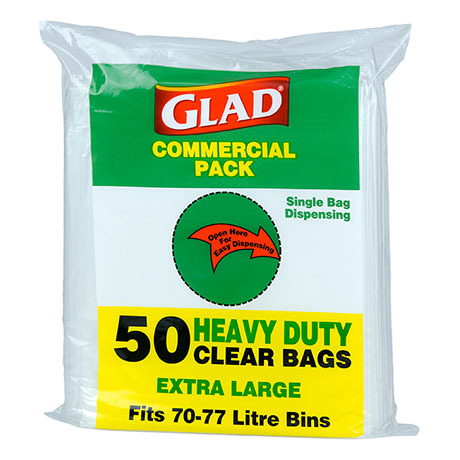 Glad® Heavy Duty 70-77lt Clear Garbage Bags offer reliable, superior performance. 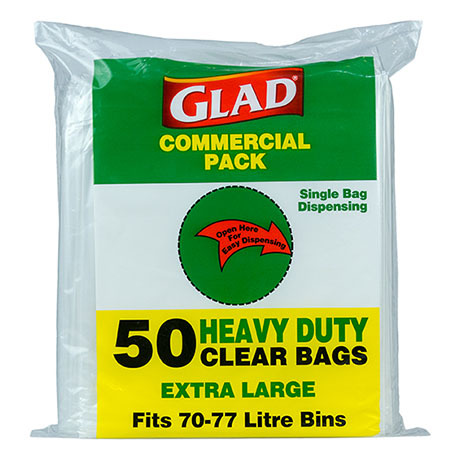 In an easy to dispense pack of 50, these bags are punch and split resistant making them ideal for heavy bulk waste. 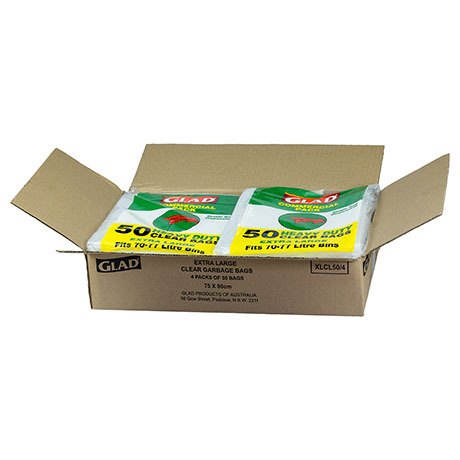 Clear for added safety and security allowing users to see exactly what’s inside.